MegoMuseum Mint Off Card: The 14? 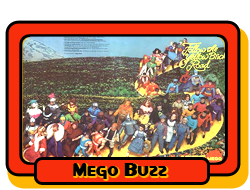 Flash by Mego Corp.
Thread: MegoMuseum Mint Off Card: The 14? Flash by Mego Corp.
Great figure--the best yet IMO--and a great challenge. Now THIS is what I'm talking about. He's PERFECT. This is what I wish Classic Batman had been. Maybe they'll release him a third time with the issues fixed. See? I'm not a hater. I give credit where credit is due. Well done Mego! Great figure, great review. Challenge accepted. Man, this is a gorgeous figure. Maybe the best of the bunch, and Supes and GL were no slouches either! I'm so getting this. Thanks for sharing Brian! I love this videos. I think your complaints had merit. But I agree that Barry is a knockout home run. All times are GMT -5. The time now is 7:34 PM.